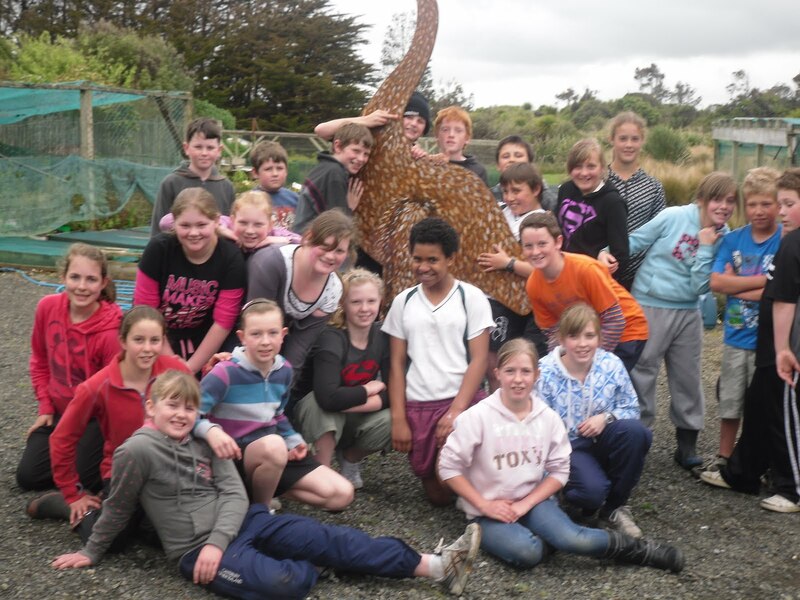 7SE and 7AD had the opportunity to go to the Otatara Nursery to plant tussocks for our school. Decked out in our best old gear, we cruised out to Otatara. Met by Mitch from the Department of Conservation (DOC) SE went for a bushwalk, while AD were hard at work planting. We met Butch the stoat, Liam the weasel and Tim the ferret. Thankfully, they were stuffed! We saw a lot of native plants and SE hid the pests in these trees for AD to find. Lots of squeals and screams! Leonie from DOC and Chris who owns the nursery helped us plant all the tussocks. These will grow and then be replanted at our school, like the ones around the Bishop Verdon Block. We learnt about repotting plants and why putting stones on top of them helps stop weeds growing (something to try at home!) Finally, a giant moa came out for a photo op! We had a 'blooming' great time!